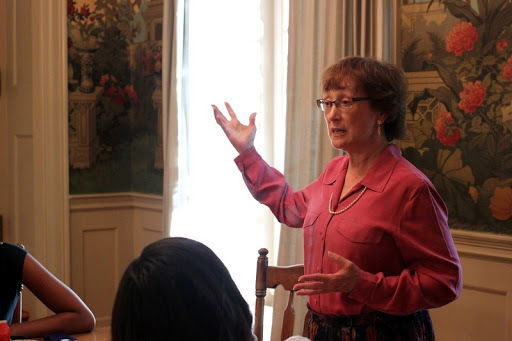 At a discussion Tuesday in the Lowell House small dining room, Michelle P. Gallant, a clinical dietitian at Harvard University Health Services, explained to a group of about 20 attendees how to stay healthy and happy through a concept called "intuitive eating." Gallant began the discussion, organized by the Harvard College Health Advocacy Program, by covering a few principles fundamental to intuitive eating, such as the elimination of unsustainable fad diets from ideology and lifestyle. "Intuitive eating is about having a healthy relationship with food and your body," Gallant said. "It's about enjoying food and honoring your body's signals of hunger and fullness. Intuitive eating means letting go of all the guilt that surrounds food." After an initial introduction of this eating lifestyle, Gallant discussed a few other essentials when adopting intuitive eating. She said students must be reliable about feeding themselves whenever they are hungry and constantly engage with their bodies while eating to determine if they are full and how different foods make them feel. In response to one question about late-night snacking from an attendee, Gallant commented that students should have good snacks available in rooms and never go to sleep hungry. She recommended a process of trial and error to find the foods that enabled students to perform at high productivity late in the night. Some foods she recommended to begin with included yogurt, fruit, wholegrain crackers, and popcorn. In an interview, event co-organizer Justin S. Reynolds '17 emphasized the negative impact of many modern dieting practices. "When it comes to fad diets I would say they are terrible and doing more harm than good. They make people think the wrong way about food : Eating has been and should always be a natural process," said Reynolds. Gita Bhattacharya '16, another organizer of the discussion, said she wanted to expose other members of the College to the lifestyle of intuitive eating. "I think there is a huge shift for students when they come from high school to college as [they] are coming from a very structured environment of food where someone is cooking for [them], to an environment where there is so much choice and an unlimited meal plan, which can be very overwhelming for some," she said.